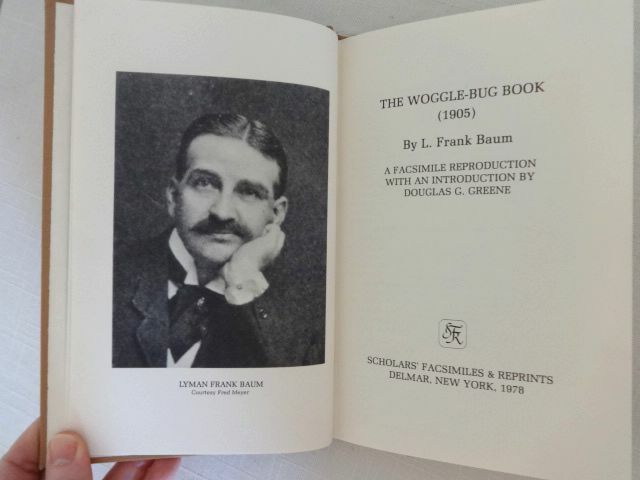 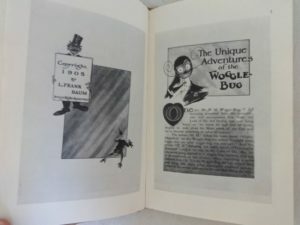 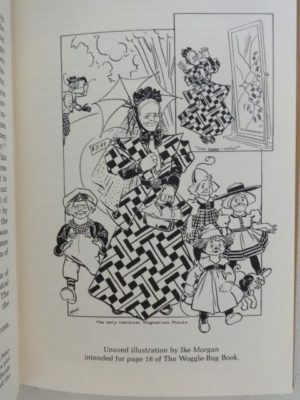 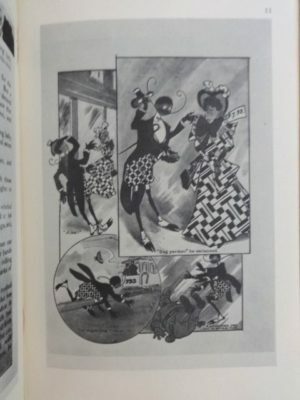 A facsimile reproduction of the 1905 edition of L Frank Baum’s Woggle-bug Book. 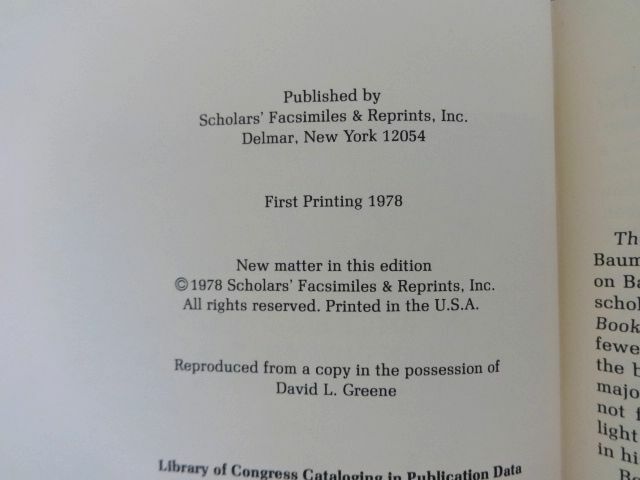 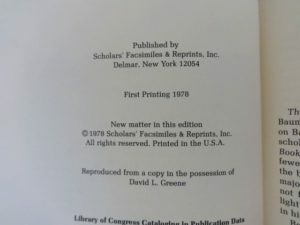 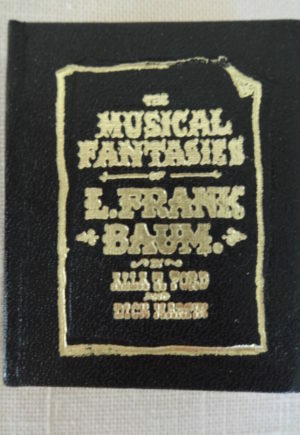 Published by Scholars’ Facsimiles & Reprints, 1978. 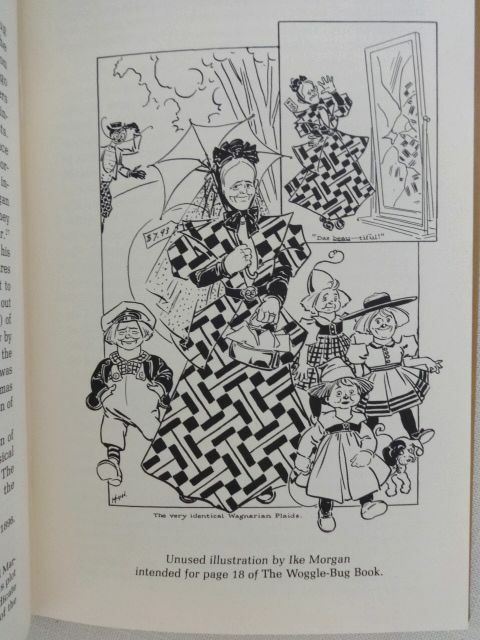 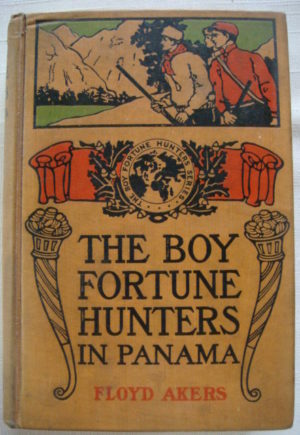 Illustrated by Ike Morgan. 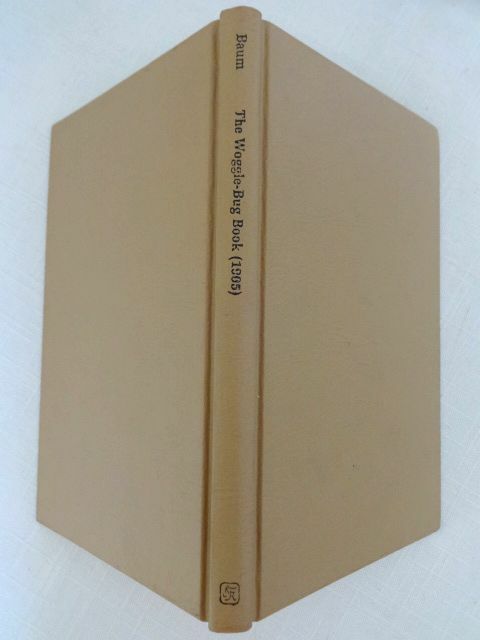 Plain tan cloth cover. 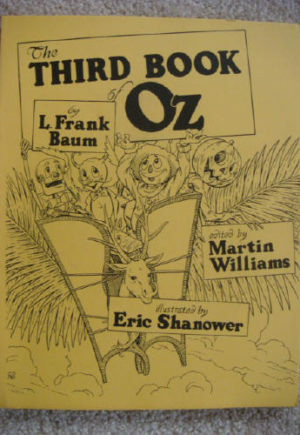 Contains an introduction by Oz scholar Douglas Greene, then a B&W reproduction of the pages of the original book. This book is in fine condition, with no discernible flaws.